Walk into Barbara Jackson’s living room almost any summer afternoon or evening and the TV screen was flickering in orange and black as she followed the ups and downs of her beloved San Francisco Giants. Baseball was a passion second only to one, her love of opera, especially of the Italian variety. That love translated into extraordinary generosity, as Barbara provided funds in support of young singers through the Adler Fellows and Merola programs at the SF Opera and ensuring that the Barbara K. Jackson Rising Stars of Opera annual concert in Jackson Hall would be free, inviting in a public new to opera as well as established aficionados. If you work in the arts, you meet many generous patrons who voluntarily provide the means to put great work on stage. 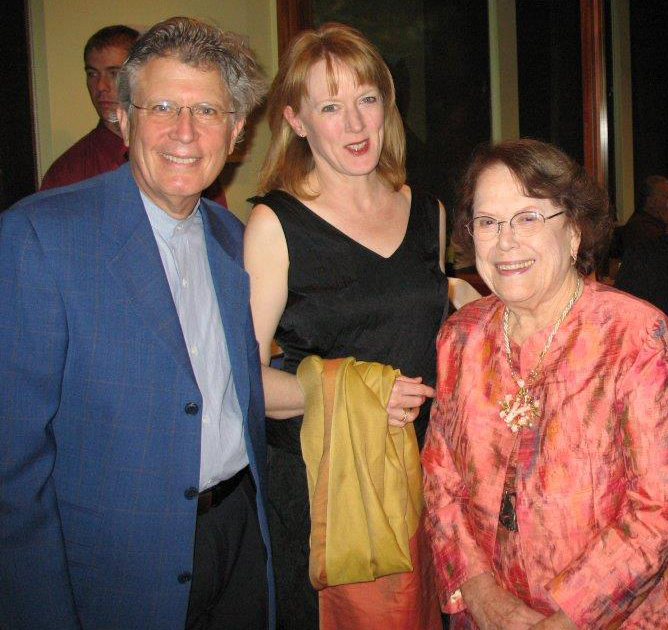 It diminishes no one to state that in the company of great arts supporters, Barbara held a very special place. In her younger days, she was generous with her time, sewing costumes for the Sacramento Opera and Sacramento Ballet, and making sure that the Mondavi Center had a gift shop, even if it meant many nights as a cashier on site! During the last several decades, she was able to provide transformational gifts in support of UC Davis academic programs (in honor of her late husband Turpie), UC Davis Music and, most of all, to the San Francisco Opera and the Mondavi Center for the Performing Arts. As long as she was physically able, Barbara was a regular presence in both those venues; her generosity followed her passion for music, vocal music and opera most of all. When I lived in Texas (my wife Jolán and I, along with Barbara all have degrees from the University of Texas), I associated that state with a sense of time somewhat looser than that I grew up with in New York. A social event at 7 p.m. was rarely fully attended until 7:30 or 8. Show up at on time and you were likely to be alone. So I was quite surprised to find in Barbara—native of Austin, fellow Longhorn— a stickler for promptness to the nth degree. Since we were fortunate to spend many Sundays at the Opera with Barbara, we never missed a curtain, could always attend the lecture, have lunch and, in general, spend the day more leisurely than usually happens in the Type A world in which we live. That penchant for promptness meant a longer day, but one where the focus and main event was going to be the opera that afternoon—clear the slate and enjoy. While Barbara had an extraordinary knowledge of opera (she had seen and heard most of the greats) she also had a generosity of spirit, and a Texas-bred politesse, such that she was rarely ever critical of performances, even when the performance might warrant it! She was ever patient and attentive, never flagging even during the 14-hour span of Wagner’s Ring. If nonagenarians can have an entourage, Barbara certainly did. She travelled in a pack, generously sharing her five Sunday opera subscriptions with friends (and when her sister Sue Drake was alive, with family). For Rising Stars of Opera, which we started because of Barbara’s love of young singers, Barbara rarely had fewer than 30 guests. Friends from San Francisco often would attend and unfurl “Happy Birthday Barbara” banners to honor her, since this concert generally has been in proximity to October 4, Barbara’s big day. This year it will be on October 4th, on what would have been her 100th birthday. When you visited Barbara, her first words often would be: “What do you know that’s good?” That would invite an analysis of the Giants’ bullpen, a recent symphony concert at the Mondavi Center or a great new tenor just seen in HD. But, more consistently, what’s good was to be a friend of Barbara’s, a beneficiary of her philanthropy and a fellow music-lover. For me, a goodly portion of what is so wonderful about being in Davis, on this campus and at the Mondavi Center, has been to know this truly great, modest and generous human being.